Medallion quilts can be traced to the 1700s. The Pride & Glory Medallion is more reminiscent of the mid 1800s style of medallions. During this time period the use of a pieced center, star blocks and the combination of multiple borders was typical. 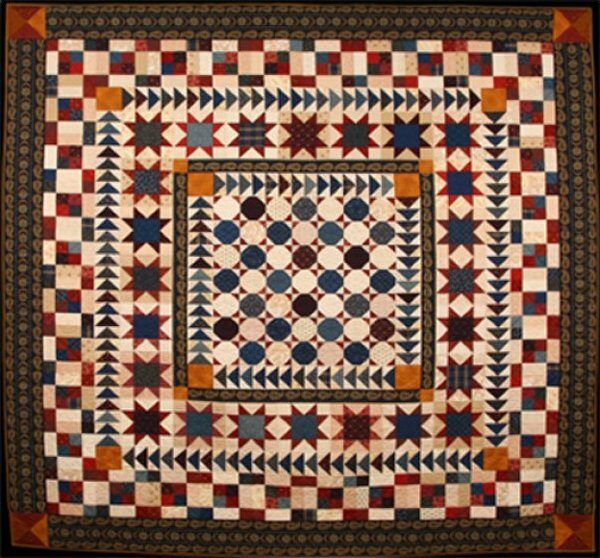 This is a wonderful example of the medallion style of quilt making in the 1800s. Choose a multicolor border to define your own color selections for this quilt.